Florida Republican Senator reintroduces pro-Israel legislation that did not get passed in the last Congress. Senator Marco Rubio (R-FL) has reintroduced pro-Israel legislation that did not get passed in the last Congress, JTA reported on Friday. Rubio, together with Sen. James Risch (R-ID), on Thursday, the first day of the new Congress, combined a number of Middle East-related bills into a single bill, jump-starting the process. “First item the Senate will take up in the new Congress will be our bill to deal with the crisis in Syria & support our allies in the Middle East,” he tweeted. The bill would codify the 2016 memorandum of understanding between the Obama administration and the Netanyahu government that guarantees Israel $38 billion in security assistance over 10 years, protecting the assistance from the whims of any current or future president. After the memorandum of understanding was signed, Republican senators said they would actually seek to overturn part of it so that Israel can receive even more aid. Ros-Lehtinen garnered massive bipartisan support and got the bill through the House. Allies led by Rubio secured a majority in the Senate, but Senator Rand Paul (R-KY), who opposes foreign aid, used the senator’s prerogative to block it. 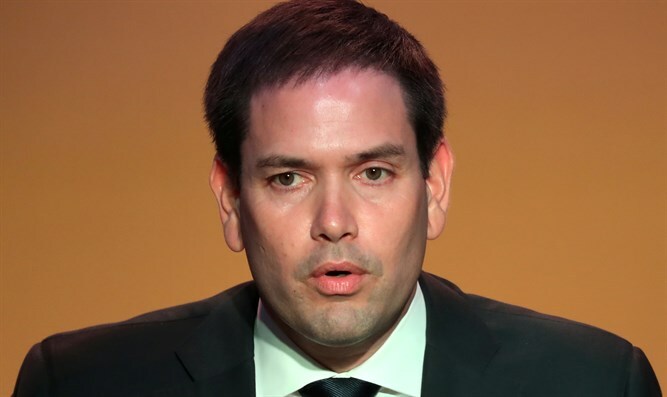 Also included in Rubio’s bill is a version of a bill that languished in the last Congress that would establish federal legal protections for states passing laws divesting pension funds from groups that boycott Israel. That section of Rubio’s bill is called “The Combating BDS Act of 2019,” referring to the Boycott, Divestment and Sanctions movement targeting Israel. It is separate from a more controversial anti-BDS bill that also failed to make the cut in the last Congress that would have established criminal fines for joining Israel boycotts. A number of Democrats shied away from that bill, citing free speech concerns. These senators included Senator Bernie Sanders (I-VT) and Senator Dianne Feinstein (D-CA). The fight against BDS has picked up steam in the US in recent years, with 26 states having passed local legislation against the movement. These include New York, California, New Jersey, Indiana, Florida, Tennessee, Texas, Arizona, Michigan, Montana, Kansas and Virginia.